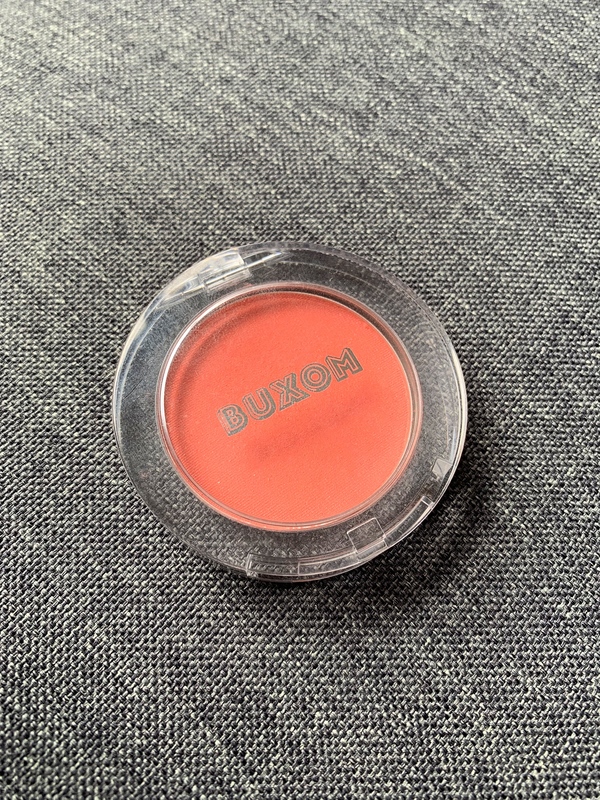 Today, I am sharing with you my review on the Wanderlust Primer-infused blush by Buxom Cosmetics. I actually didn’t plan to write a review on it but I thought why not, I am a beauty blogger, I should review anything :p! Plus, I didn’t know what to publish for today!! Let me know what you are interested to read on my blog or see on my channel, I would love some propositions! 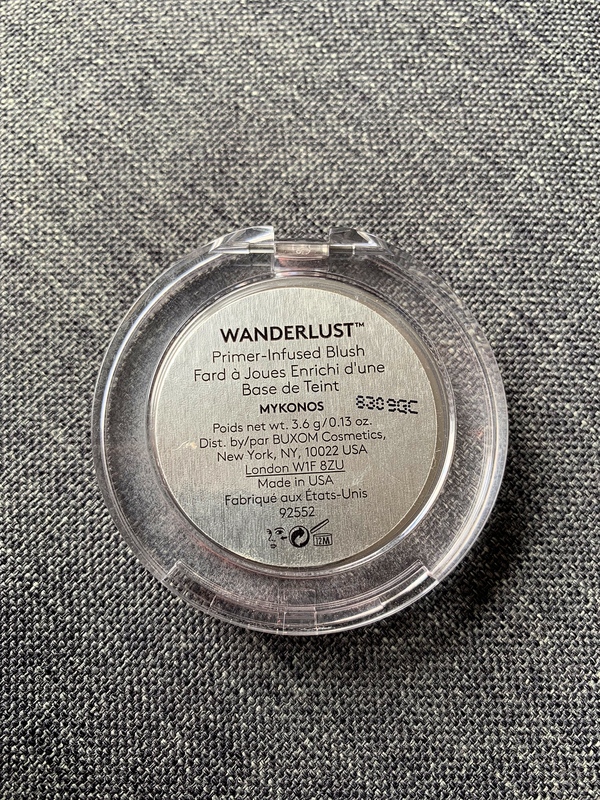 This product comes in 6 shades and retails for 27CAD or 22USD. 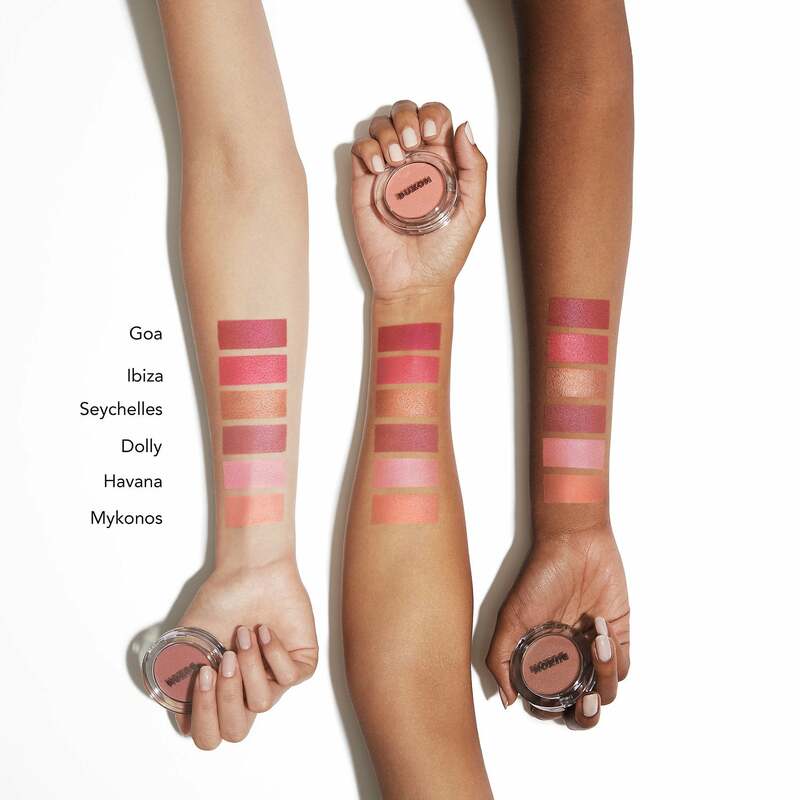 Each blush comes with 3.5g of product. So basically, it is supposed to be super luminous, silky and pigmented! I have the shade “Mykonos” which is coal peachy shade and you can get yours from either Sephora or Buxom’s website . 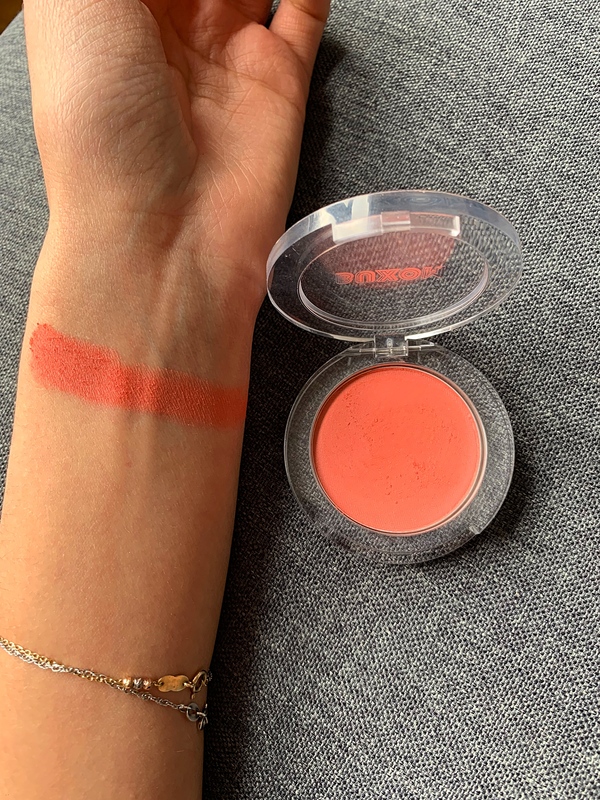 The packaging of this blush is pretty standard, it’s hard plastic and see-through, so you can see the shade of the blush when it’s closed. It has a simple “Buxom” written on the top, I actually love the font used. It doesn’t feel cheap whatsoever but it’s not the most beautiful packaging ever, it is handy though. 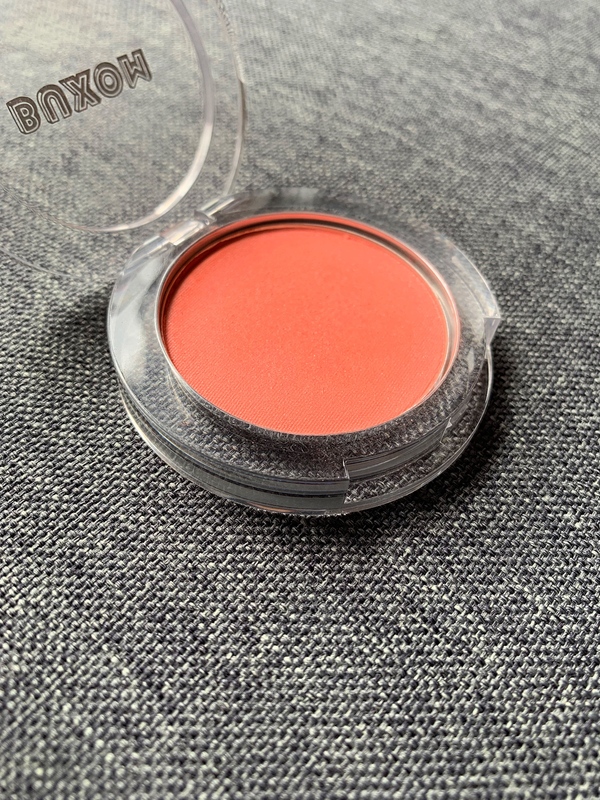 Plus, the size of the blush is good, it’s not too big, nor too small, I think it has the perfect size. You get all of the information written on the back, on a silver sticker. Which reminds me of the outer box it came in because, the box is all silver. I don’t know if that’s everyone’s cup of tea but I personally love it! It also has a great lasting power, I can go with my makeup on for a straight 12-hour and it would still be there. It looks like great texture, and the color is so pretty! This sounds great! I love all of the colors here, they are so pretty!